Is it just me that rarely seems to get hero tokens or what? I have made around 8-10 calls for heroes in the past week. And only received 10 Dwight tokens from one. With so many heroes now been introduced and 2 more to come. It'e not realistically possible to unlock AND upgrade them all. Hero token chanches should be increased a little coz at the current rate unlocking and upgrading is too slow. Not asking for a big increase or anything but slightly more would be better. Atm I get one token card in about 8-10 calls. So somewhere around 5-6 would be nice..
Edit - I should add this is the case if you can't spend money on the game. Pass the 10 radio calls and take the 15 calls...way better chances to get something useful for the radios. @Shteevie did you say there were going to be more ways to get hero tokens soon? I like the heroes but there are far too many to upgrade and not enough tokens. I did, and we're working on adding them as soon as the development cycle allows. I'll work extra hard for you, though, because your avatar earns super bonus points from me. @Shteevie collect 15 radios is really tough and when you get them usually the 15 radio call is all grenn!! Please pleas erase that option!! At least give us 50 tokens for sure! I need for example 15 sasha tokes to unlock her and will be impossible because she doesn't appear in tg trade. I play several hours every day since almost the beginning and i not close to unlock Carl or Michonne for example. Make token available to purchase with gold... NG will make money. Just sayin'. Did you notice the references to TMNT in the Morgan episode? The fella was named Eastman (after co-creator Kevin Eastman) and there were 4 tortoises on the wall! 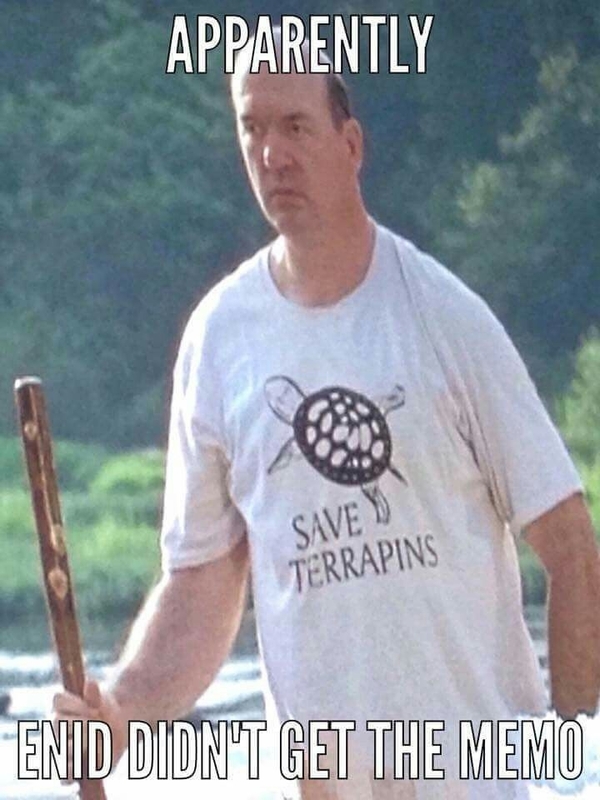 I believe the school was named after turtles of some sort as well! Bring on the sai and numchuks!